Recently i posted a tutorial on How to Make Money From Google Search By Creating Creating Your Own Custom Search Engine Using Google CSE which is the part 1 of this article. Like i said You can join Google's AdSense for Search program, which places contextually relevant ads on your Custom Search Engine's search results pages and shares a portion of its advertising revenue with AdSense partners. The cost per click on an ad is determined by advertisers who compete for placement on search results pages. If you already have an AdSense account, you can make money using your search engines by associating them with your Google AdSense account. Note: To associate AdSense with Custom Search Engine, both - Custom Search Engine and AdSense - must be under the same Google Account. Go to Google Custom Search control panel, and click on Make money. Note: You will be able to see the Make money tab only if you are the owner of the search engine. Other administrators will not be able to see this tab. Click the Search Engine Monetization button to turn it ON. Your AdSense publisher ID associated with your Google account will appear on the page in a moment. 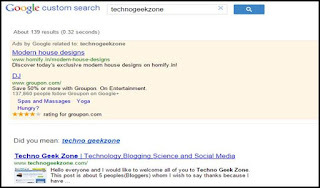 Now, your Custom Search Engine is associated with your AdSense Account. Note: If you do not see Search Engine Monetization button, then it means that either you do not have an AdSense account or your AdSense account is pending approval. Please visit Google Help Center for more details. Note that if you create a new AdSense account, you'll receive a confirmation email that you can use to activate your account. You won't start making money until you have completed this activation process. 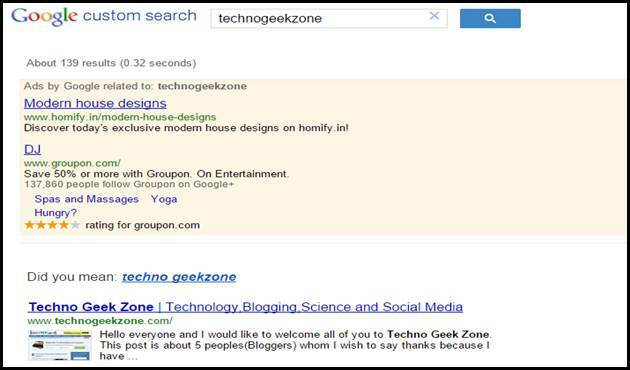 While your AdSense account is being processed, no ads will appear in your search engine results. Please be aware that if the associated AdSense account is terminated, Custom Search Engine will no longer return either ads or search. If you cancel your AdSense account, Custom Search Engine will continue to return ads and search results, but the ads will no longer be associated with this account. To earn revenue again, you will need to create a new AdSense association. 0 Response to "Make money with AdSense via Google Custom Search (Part 2)"